Whether you live in New York City or across the world from it and can’t get to the theatre, finding plays and musicals to stream online is a difficult task. 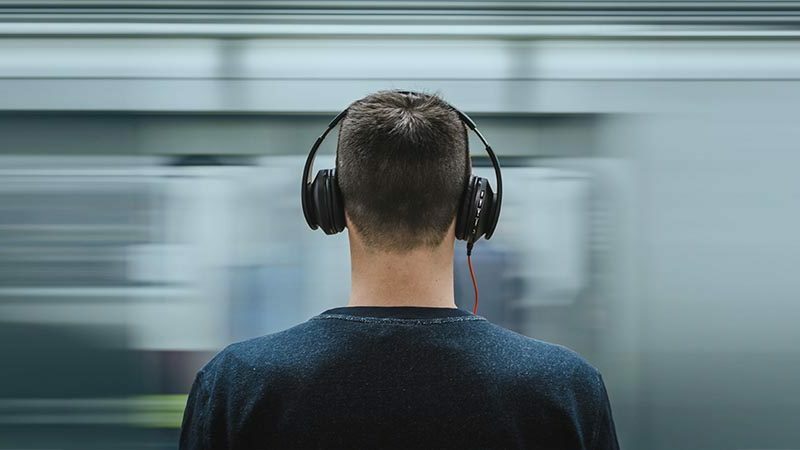 Luckily, with streaming services like Netflix, Amazon Prime, and BroadwayHD, there is a wealth of theatrical resources available where you can find live recordings of original productions from Broadway and beyond. Here is a guide to what is currently available, including several film adaptations, for your viewing pleasure. Can’t wait until this summer to see a live stage adaption of Hercules at the Delacorte Theatre? Do you need your Disney fix now? Head on over to Netflix to give yourself a little refresher on the story of Hercules, the half-god, half-mortal who has to defeat Hades and save the world. 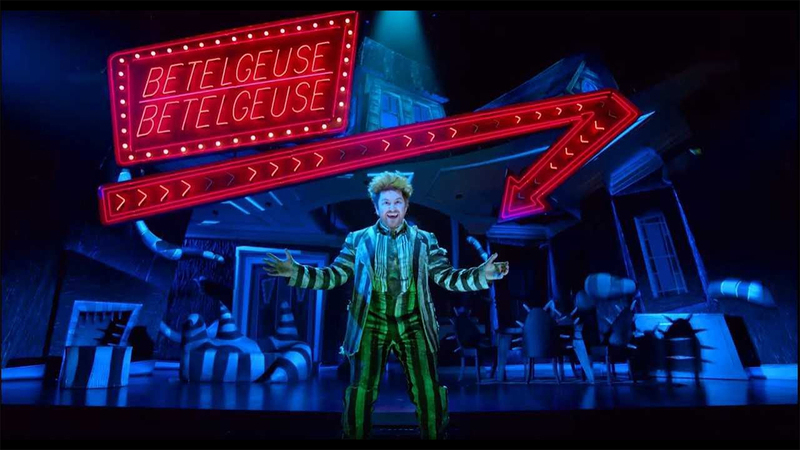 With a score that includes Alan Menken’s Academy Award–nominated song “Go the Distance,” this is sure to hold you over until the new musical opens in Central Park this summer. Jersey Boys (2014, Film). Starring John Lloyd Young, Erich Bergen, and Michael Lomenda. Available on Netflix. Adapted from the Broadway musical and starring Broadway’s original Frankie Valli, Clint Eastwood directs this musical film that takes a closer look at how four guys from New Jersey came together to form one of the most iconic music groups of the 1960s, The Four Seasons. Oh, Hello on Broadway (2017, Broadway). Starring Nick Kroll and John Mulaney. Available on Netflix. Stand-up comedians John Mulaney and Nick Kroll star as “two delusional geriatrics” in Oh, Hello on Broadway, a recording of their hit limited-run Broadway engagement. This recording has it all: irreverent humor, too much tuna, and a special surprise comedy guest. 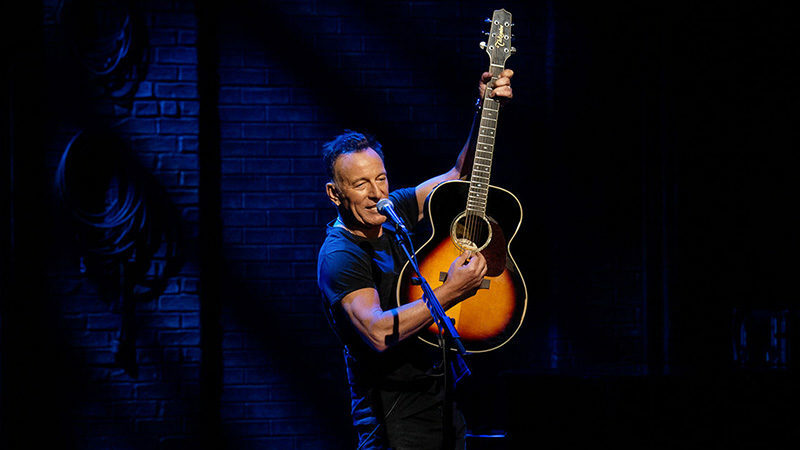 Springsteen on Broadway (2018, Broadway). Starring Bruce Springsteen. Available on Netflix. 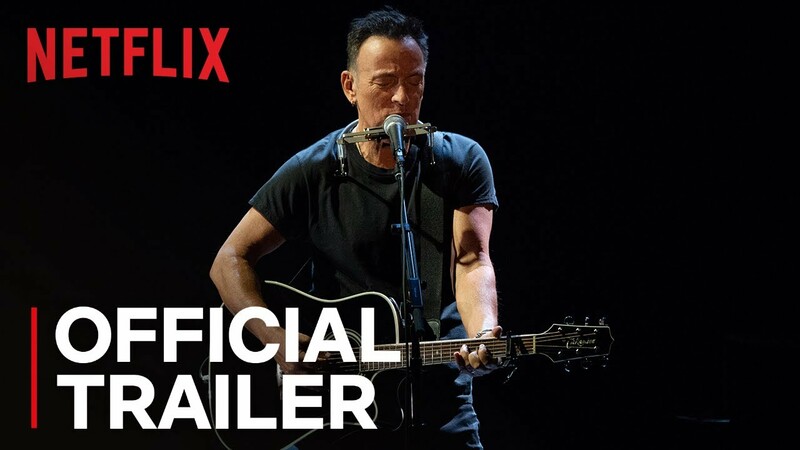 If you couldn’t get to New York City to see Bruce Springsteen take the stage during his Broadway residency, have no fear: Netflix has you covered. You can watch a recording of the rock star’s intimate one-man show, where he plays acoustic versions of some of his greatest hits and shares personal life stories, on the streaming service anytime, and all from the comfort of your own home. Shrek the Musical (2013, Broadway). Starring Brian d’Arcy James, Sutton Foster, and Christopher Sieber. Available on Netflix. Everyone’s favorite ogre is given the musical treatment in this kid-friendly tale of how a crotchety monster with a heart of gold finds his true love and saves his kingdom from the evil Lord Farquaad. With a score by Jeanine Tesori and David Lindsay-Abaire, Shrek the Musical is fairy-tale-inspired fun. West Side Story (1961, Film). Starring Natalie Wood, Richard Beymer, and Russ Tamblyn. Available on Netflix. If you can’t wait until 2020 to see this Broadway classic return to the stage, Netflix has you covered. A modern retelling of Romeo and Juliet, West Side Story follows the Sharks and the Jets, two rival New York street gangs, as they battle for control of turf on the Upper West Side. However, the situation gets complicated when one gang member falls in love with a rival gang member’s sister. Directed and choreographed by Jerome Robbins, with music by Leonard Bernstein and lyrics by Stephen Sondheim, West Side Story was the winner of two Tony Awards and a record-breaking 10 Academy Awards. Carousel (2013, Concert). Starring Kelli O’Hara, Nathan Gunn, and Jessie Mueller. Available on Amazon Prime. Julie Jordan falls in love with a charming, carefree carousel barker with a short temper. After she becomes pregnant, he resorts to extreme circumstances to get extra money to provide for his family. Staring Broadway favorites Kelli O’Hara and Jessie Mueller, along with Metropolitan Opera staple Nathan Gunn, this live-from–Lincoln Center concert recording is a great way to get your Rodgers and Hammerstein fix. Fiddler on the Roof (1971, Film). Starring Topol, Norma Crane, and Leonard Frey. Available on Amazon Prime. Currently running Off-Broadway (in Yiddish) at Stage 42, Fiddler on the Roof follows the poor milkman Tevye and his wife, Golde, as they try to grapple with their daughters wanting to break with tradition in their marriages. With music by Jerry Bock and lyrics by Sheldon Harnick, this film contains all of the songs theater lovers have come to know and adore: “Tradition,” “If I Were a Rich Man,” and “Matchmaker,” just to name a few. Hamilton: One Shot to Broadway (2017, Film). Starring Lin-Manuel Miranda and Tommy Kail. Available on Amazon Prime. Featuring interviews with Lin-Manuel Miranda, director Tommy Kail, and cast members including Leslie Odom Jr. and Renée Elise Goldsberry, this hourlong documentary details exactly how Hamilton went from a concept album to an award-winning international musical sensation. Hello, Again (2018, Film). Starring Audra McDonald, Cheyenne Jackson, Martha Plimpton, and Jenna Ushkowitz. Available on Amazon Prime. 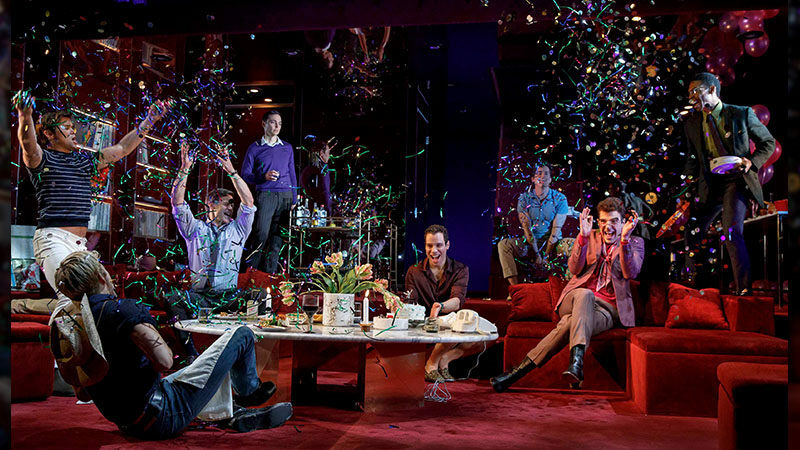 Based on the 1993 Off-Broadway musical by Michael John LaChiusa, Hello Again is the story of 10 lost souls engaged in a series of love affairs across 10 different eras in New York City. The story is told out of chronology, bouncing from era to era with LaChiusa’s music always evolving to fit the time period. In Hello Again, every story is connected, but you’ll have to watch the film to figure out how. King Lear (2018, Film). Starring Anthony Hopkins, Emma Thompson, and Emily Watson. Available on Amazon Prime. If you can’t make it to New York to see Glenda Jackson in the new revival of King Lear, this Amazon original production is the perfect way for you to get your Shakespeare fix. Anthony Hopkins stars as the title character in King Lear, Shakespeare’s tragedy about a king’s slow descent into madness after he is tricked into giving up his kingdom by two of his three daughters. Kiss Me, Kate (1958, Film). Starring Alfred Drake, Patricia Morison, and Julie Wilson. Available on Amazon Prime. A reimagined telling of Shakespeare’s The Taming of the Shrew, Kiss Me, Kate is the story of an ex-husband and -wife duo who team up to star in a musicalized version of the Shakespeare classic. However, behind the scenes is where the real drama happens and chaos ensues. Before you head down to Studio 54 to catch Kelli O’Hara in the current Broadway revival, spend a night rewatching this film to help psych yourself up for what you’ll be witnessing on stage. Launched in 2015 with 100 titles available, BroadwayHD is an on-demand digital streaming service that has grown to include more than 200 titles of filmed Broadway and Off-Broadway musicals, plays, and concert events. Listed below are some of the notable additions to BroadwayHD’s catalog. An American in Paris (2017, London). Starring Robbie Fairchild, Leanne Cope, and Haydn Oakley. Available on BroadwayHD. Filmed live from London’s Dominion Theatre in 2018, An American in Paris follows Jerry Mulligan, an American GI who moves to Paris to pursue his dreams of becoming a painter. After a chance encounter with Lise, a young dancer, Jerry finds himself caught up in a complicated love triangle. 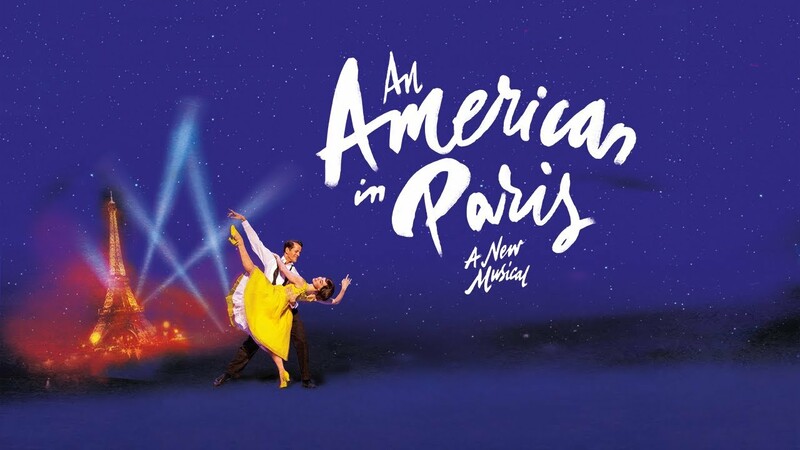 Featuring music and lyrics by George and Ira Gershwin, An American in Paris was nominated for 14 Tony Awards in 2015, including Best Musical. Buried Child (2016, Off-Broadway). Starring Ed Harris, Amy Madigan, Taissa Farmiga, and Paul Sparks. Available on BroadwayHD. Two struggling farmers are fighting to keep control of their land and sanity in Sam Shepard’s Pulitzer Prize–winning play. Filmed live from The New Group theatre 20 years after its last major New York production, Shepard’s play tackles what happens to a family when the idea of the American Dream is no longer a possibility. Lady Day at Emerson’s Bar and Grill (2014, Broadway). Starring Audra McDonald. Available on BroadwayHD. Audra McDonald stars as Billie Holiday in Lady Day at Emerson’s Bar and Grill, a play with music by Lanie Robertson. Set in a small Philadelphia bar in the late 1950s, Lady Day gives audiences an intimate look at Billie Holiday in the months leading up to her death, as she shares her life story while performing a few songs in between. Les Misérables 25th Anniversary (2010, Concert). Starring Alfie Boe, Norm Lewis, Lea Salonga, Samantha Barks, and Ramin Karimloo. Available on BroadwayHD. To celebrate the 25th anniversary of Alain Boublil and Claude-Michel Schönberg’s musical based on the novel by Victor Hugo, producer Cameron Mackintosh assembled an all-star cast to perform two sold-out concerts of the musical at London’s O2 arena. This production was also preserved as a live album so you can hear the classic score any time, anywhere. Pipeline (2018, Off-Broadway). Starring Karen Pittman, Namir Smallwood, Tasha Lawrence, and Morocco Omari. Available on BroadwayHD. Filmed live from Lincoln Center in 2017, Dominique Morisseau’s Pipeline takes a critical look at America’s educational system and the “school-to-prison” pipeline that surrounds students of color. The play was nominated for five Lucille Lortel Awards in 2018, including Outstanding Play. The King and I (2018, London). Starring Kelli O’Hara, Ken Watanabe, and Ruthie Ann Miles. Available on BroadwayHD.